01 Nov 2018 --- The role of start-ups in shaping the future of the food and beverage industry is pronounced. Their role as thought leaders has driven multinational companies and legacy brands to invest in them – and learn from them: significant players are going small in their strategy. At HiE 2018, which will be held in Frankfurt at the end of November, a diverse range of start-ups that encompasses ingredients, technologies or services and plant-based finished products will compete for individual awards at the event. Here FoodIngredientsFirst takes a look at the technologies that are competing this year, with comments from the nominees. FunGeneX (The Netherlands): FunGeneX BV (BioscienZ) is developing a technology to produce egg white proteins based on sugar from sugar beet by means of fermentation: cellular agriculture. The company notes the need for binding proteins like egg white that are neutral in color, taste and smell. The company’s solution is claimed to contribute to a reduction in global warming; the yield of egg white proteins per hectare of land is 10-20 times higher than the animal route. Moreover, the solution reduces animal suffering, produces no manure and reduces the sensitivity of our food supply to major bird diseases (flu) and the misuse of antibiotics in chicken neutering, thereby increasing AMR issues. The company has also designed new egg-alike proteins, with novel properties related to improved health aspects as well as improved functions such as foaming and binding and less sensitivity of the value chain by having less salmonella and listeria issues. This is due to the intrinsic and sterile production methods in FSC22000 approved food fermentation installations. based on sugar from sugar beet using fermentation, i.e., cellular agriculture. Wim de Laat at the company notes that BioscienZ has screened for fungus and developed engineering technologies, which enables the efficient expression of animal proteins. “We apply our technology in our flagship project egg white protein production and license our platform to third parties for non-strategic applications via FunGeneX BV. We will produce our own egg whites as B2B product and will distribute globally via food distributors,” he explains to FoodIngredientsFirst. The applications that the ingrediënt technology is best suited to are bakery and pastry items, meat substitutes and meat analogs. GNUBiotics (Switzerland): A Swiss biotech created in September 2016, GNUbiotics Sciences is a privately funded company active in R&D to reproduce the natural diversity and complexity of unique structures found in mothers’ milk that are beneficial in preventing infections and the onset of diet-induced obesity. Building on exclusive rights from patents issued to Stanford University and their IP, the company is developing a novel platform for selective microbiota modulation via natural mechanism of action with next-generation Human Milk Oligosaccharides (HMOs) mimic composed of up to 130 diverse Microbiota Accessible Carbohydrates (MACs) structures. The company has a rich pipeline in nutrition (pet and infant) and later for medical food solutions. The short-term goal is to address the pet food market and hit the commercialization with a health ingredient in Europe in 2019. The beauty of the brazzein molecule is in its flexibility. baked and cooked, thus making its applications unlimited. Magellan Life Sciences (UK): Magellan Life Sciences is a synthetic biology company developing novel platforms to produce plant-inspired molecules to address global health and wellness needs. Their leading molecule is a natural non-caloric protein sweetener called brazzein that is inspired by the scarce West African fruit Oubli. They are positioned as the global leaders in developing a scalable and sustainable production for brazzein. Abhiram notes that despite being a very popular molecule known in the scientific community for its almost sugar-like taste, brazzein had, until now, been stuck in the R&D labs of many companies who have tried and failed to commercialize it due to a lack of commercially logical scientific process. This is now set to change. “Brazzein is the answer for food and beverage manufacturers who are looking to either reduce the amounts of sugar in their products or completely replace it while ensuring the product taste remains impeccable. Not to mention that being 1,200 times sweeter than sugar, and not requiring any masking agents will bring down the per unit cost of all sugar substitute products,” Abhiram notes. The beauty of the brazzein molecule is in its flexibility. It is heat and pH stable. It can, therefore, be freeze-dried, baked and cooked, thus making its applications unlimited. “Brazzein will be entering the EU and US market in 2021 primarily in the beverage sector following which it will be formulated for dairy products. We are currently involved in active formulation trials with industry leaders of beverage, dairy and confectionery products,” Abhiram concludes. into high-quality ingredients and products. The company utilizes okara flour to produce mass-market CPG products that are healthier and tastier than existing brands. The company has partnered with Cargill on an R&D pilot project at their global food center to expand applications for okara flour. Additionally, Renewal Mill has installed pilot equipment at their first partner facility to capture okara, the soybean pulp generated during soymilk production. They dehydrate the okara right on site to produce a premium product which is then milled into the final form of the ingredient, okara flour. Caroline Cotto, Chief Operating Officer at the company, notes that Renewal Mill was founded to solve two fundamental challenges: food waste and a lack of affordable nutrition. “Although waste is being tackled with innovative and exciting solutions across the supply chain, few solutions exist that are scalable and reliable enough for large-scale food manufacturers. These manufacturers produce billions of pounds of clean and nutritious fibrous byproducts but are forced to either pay high tipping fees or give the product away for free to animal agriculture. Since byproducts account for close to 50 percent of the final product by weight, a high-value solution can significantly improve margin. 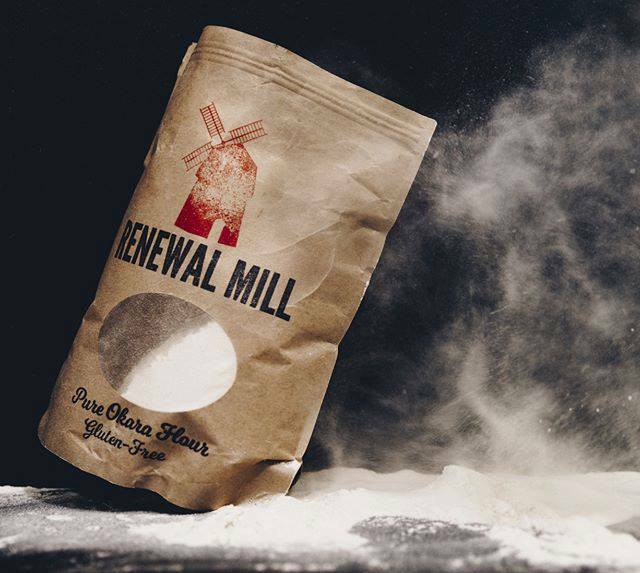 Renewal Mill is that complete solution because, at scale, we can offload 100 percent of the byproduct from the manufacturer. At our first partner facility, our processing of okara has given the factory back 25percent of its footprint – space that was previously being used to house the byproduct,” she explains. Concerning nutritious fiber, she notes that over 97 percent of Americans are deficient in fiber, while in contrast, 97 percent of Americans get enough protein. “This fiber deficiency is a key driver for increased rates of obesity, heart disease and diabetes. Fiber is often stripped out of our food during processing making it critical that we devise unique and innovative solutions to bring this fiber back to our plates. Putting all of this together, we saw an incredible opportunity. By addressing this gap in food processing, we can reduce the burden of waste for food processors, while creating tasty, yet significantly healthier, ingredients,” she explains. Okara flour is extremely versatile and has numerous applications, including its role as an alternative flour in baked foods and desserts, as the base of a gluten-free flour blend and as a replacement flour in savory applications such as tortillas and pasta. It can also be used in creating sauces and protein beverages. In its wet form, okara is a traditional East Asian ingredient, but the dried version can also be used for traditional dishes like okonomiyaki, a Japanese savory pancake. Okara flour is already on the market in finished products, with a focus on the US and European markets. The company also sells flour to medium to large CPG companies who are using it for a variety of their own branded products. “As we continue to grow, we will be bringing on a second okara facility, likely in Europe, which will allow us to scale production rapidly and further expand our distribution in the EU markets,” she concludes. Green Banana Food (The Netherlands): Green Banana Food BV (GBF) is a Netherlands-based food-tech company that develops products and ingredient solutions from the native cooking green banana. The company has created a flour that can be used in the food industry to create high nutrient, low carb, gluten-free and high dietary fiber food solutions with a great taste. With their proprietary process, the company utilizes the green bananas (highland bananas from Uganda) as the main ingredient in all of their products. The first launch is Gabanna pasta a light (low carb) high nutrient pasta with a perfect pasta bite. It is rich in protein and also gluten-free for those with a gluten allergy. It’s a tailored product that is designed to deliver health & wellness benefits and a perfect pasta eating experience. “Consumer studies repeatedly show that much as there’s growth in gluten-free products, the majority of the market is held back due to poor taste/eating experience. The majority gluten-free pasta use rice and corn as main raw material and the result is lacking in stable cooking with pasta maintain shape and al dente texture,” Sean Patrick, Founder, Green Banana Food BV tells FoodIngredientsFirst. “With the highland green banana, it allows for a stable blend with other ingredients to create a pasta that’s both stable and also gives that ideal pasta mouthfeel. On nutrition; pasta with legumes (chickpeas and lentils) will have great nutritional benefits but poor mouthfeel, while pasta with corn and rice will have a smooth texture but poor cooking stability. With highland green banana flour, you are able to create blends that deliver both nutritional benefits and great eating experience,” he adds. Beyond pasta, highland green banana flour is applicable in, bakery, snacks, also as a thickener for yogurts and sports drinks and also to give extra fiber to a product. Patrick confirms that the company still expects the product to on the market in December this year. “We are starting in the Netherlands via retail chains and horeca wholesalers. By mid-2019, our target is grow to other Western Europe countries. Penetration to the North American market is of interest to us through distribution partnerships with strong stable players in that market. We expect to have this operational by end of 2019,” he adds. 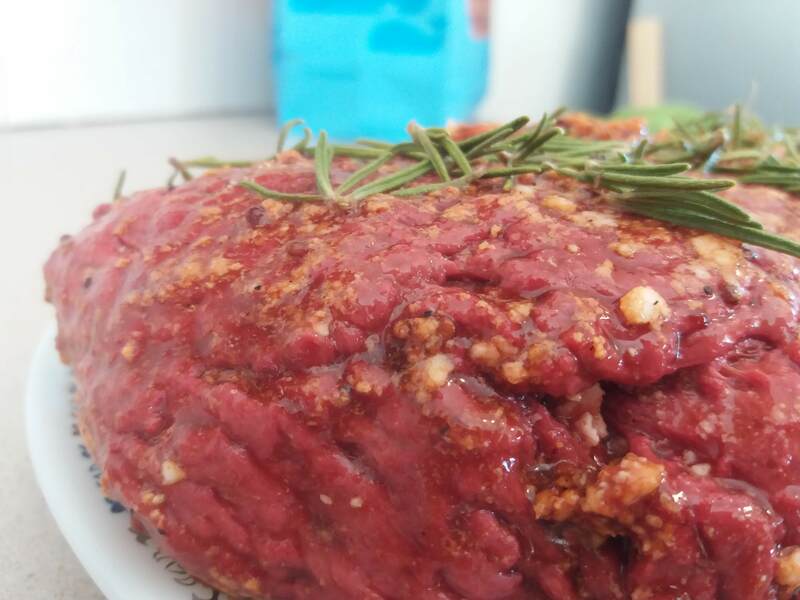 Jet-Eat Printed Food (Israel): Jet-Eat is developing a new kind of animal-free meat (steaks, roasts and stews) with the same appearance, texture, flavor and cooking properties of animal meat, but from natural, sustainable and healthy ingredients. The company combines proprietary meat 3D modeling, food formulations and printing technology to develop a new category of complex-matrix meat alternatives in a scalable way. Their meat products will have 95 percent less environmental impact when compared to beef, zero cholesterol and be more affordable than beef. The unique approach and IP strategy will allow the company to offer a superior plant-based product, switching to hybrid (plant-based and clean meat) as new ingredients become available. The Jet-Eat multi-dimensional printing technology aims to lead a digital transformation of food development, production and distribution, helping to solve some of the biggest challenges in the current food system. texture, flavor and cooking properties of animal meat. “Existing plant-based options can imitate ground beef for example, but beef steak is currently impossible. Despite a lot of innovation in texture, flavor, protein ingredients and even cellular agriculture – steaks are not found yet. By using our unique technology we can bring the industry much closer to the real experience of cooking and eating meat, and especially beef. This leads to the creation of a superior end-product that will make plant-based meat more accessible and acceptable even to meat lovers,” he adds. Eshchar Ben-Shitrit confirms that the company is are already in discussions with chefs and butchers to test and showcase their products in different applications, but this will be private experiments for the next six to eight months. “Following that we intend to provide access to our products in foodservice, but mostly in order to expand the range of inputs for product improvement. 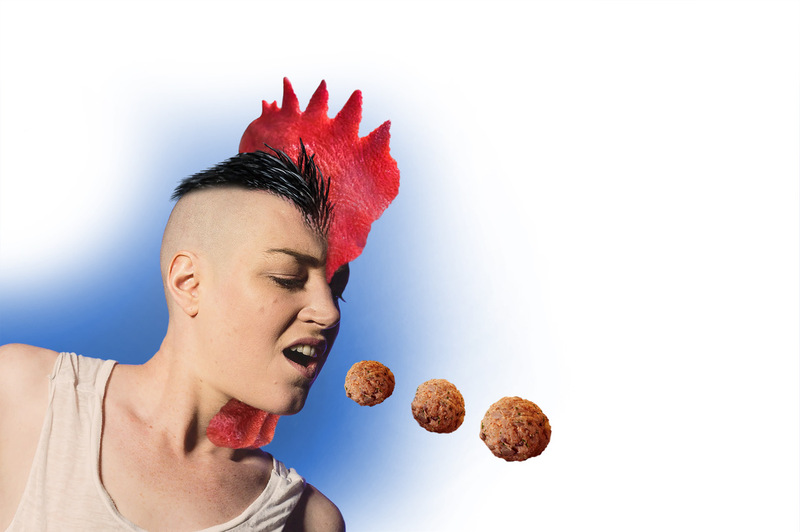 Somewhere in the second half of 2020, our products will be rolled out more widely in restaurants and butchers who embrace the future of meat as being more than just an animal product. In the long term we plan to be in retail having our industrial printers producing a wide range of fresh meat products with just-in-time production, almost zero waste, minor environmental impact and awesome consumer experience,” he concludes. Planetarians (US): Planetarians makes ingredients and products from defatted seeds. Their patent-pending technology adds value to overlooked ingredients like defatted seeds, converting them into a high-protein, high-fiber ingredient, and helping food manufacturers fortify a variety of food products with natural protein and fiber from seeds. Planetarians’ first product – sunflower chips – offers three times more protein, two times more fiber and three times less fat per serving than typical potato chips, and have a lower price compared to soy-fortified protein chips. Earlier this year, FoodIngredientsFirst reported on the company's sunflower seeds based innovation. Shileo (Germany): Shileo is an online food start-up founded in September 2017 that sells konjac rice and pasta meals which are: “the perfect low-cal alternative to normal pasta and rice” with five times less calories than in traditional noodles. The products are low carb, vegan, filling, aiding weight loss (cf. Commission Regulation (EU) No 432/2012), health-promoting due to its high content of glucomannan, a soluble fiber, without flavor enhancers and artificial colorings. The products are ready to eat within minutes. Ambrosus (Switzerland): Ambrosus is a blockchain-powered IoT (internet of things) network for food and pharmaceutical enterprises, enabling secure, and frictionless dialogue between sensors, distributed ledgers and databases to optimize supply-chain visibility and quality assurance. Through its blockchain AMB-NET, Ambrosus focuses on supply chain optimization, logistics tracking, quality assurance and anti-counterfeiting. Ambrosus is likewise fostering innovation in blockchain and IoT space by building APIs, SDKs and Developer Tools. Aryballe (France): Aryballe Technologies, promotes itself as the pioneer in digital olfaction, developing and manufacturing bio-inspired odor sensors for groundbreaking applications in the food, home appliances and flavors & fragrances industries. The company’s solution for digital olfaction is based on a unique combination of technologies: optics, biochemistry, microfluidics, electronics and IT. Food is a significant focus for Aryballe since 2018. The current industry trend to develop clean labels and free-from products based on new sourcing, ingredients, or processes (e.g., fermentation) requires tools that quickly assess the olfactive qualities of materials to ascertain whether they meet the company’s usual standards or new flavors attractive to consumers. Better Juice (Israel): Better Juice has developed a B2B product with a patent-pending technology for reducing natural sugars from fruit juices. The company harnesses the activity of non-GMO microorganisms to bio-convert the sugars to dietary fibers and non-digestible natural molecules. Their continuous flow system is capable of treating large volumes of juices with a little-added cost to the final product. Embion (Switzerland): Embion produces new prebiotic solutions for human, animal and soil microbiome nutrition from agricultural and food processing side-streams. Embion’s advantage lies in a novel processing technology result of more than 10 years of research at the Swiss Federal Institute of Technology in Lausanne (EPFL), Switzerland. The technology allows for the targeting and extraction of natural prebiotic ingredients from biomass, such as oligosaccharides and polyphenols, as well as the customization in the degree of polymerization for personalized solutions. The process is a breakthrough in the production costs of prebiotic ingredients stemming from superior process parameters than competing technologies e.g. yield (2-10 times), processing speed (15-42 times) and a very high product purity while reducing pre- and post-processing steps. All the above enable the commercialization of novel but also affordable prebiotics for offering customization for microbiome nutrition. Nucaps (Spain): Nucaps offers technological services for the encapsulation of bioactives and probiotics with food proteins for a safe and efficient oral delivery. A new nanoencapsulation technology, with nutraceutical, cosmetic and pharmaceutical purposes has been created. This encapsulation process, adapted for industrial scale and designed for oral delivery and controlled release of bioactives and microorganisms, is based on the use of food proteins (GRAS), such as casein, zein or soy. Nanocapsules and biocapsules protect the actives, improving effectiveness, stability, safety and profitability. for a safe and efficient oral delivery. “Nucaps is the first company that has achieved a safe and efficient nanoencapsulation technology for the oral delivery of nutraceuticals by using natural food proteins,” Mariano Oto CEO/Director General says. He notes that diet-related illnesses are by far the largest cause of death in Europe. This problem has increased the demand for functional foods, diet supplements, nutraceuticals and probiotics to prevent and combat these diseases. Manufacturers of these products face considerable difficulties in manufacturing new products with certain ingredients, due to: poor oral bioavailability, instability, low solubility and unacceptable odor and taste. “Nucaps encapsulation solve the customer as mentioned above pain points that functional foods and probiotics manufacturers face. It allows an oral administration of active substances that is clean, safe and efficient, just using food proteins as an encapsulant. It increases the bioavailability of active substances up to 35 times greater when compared to its free form administration. Therefore, Nucaps can manufacture products that are 70 percent cheaper than the current ones,” he says. The Nucaps nanocapsules and biocapsules are solely made from natural proteins obtained from milk, maize, soy and other excipients considered Generally Recognized As Safe (GRAS) substances. They do not include additives, preservatives or toxic substances and are therefore suitable for use in nutraceutical and food products. Oto explains that this means, that the product is ideal for functional foods, diet supplements, nutraceuticals and probiotics. NanoResveratrol and NanoOmega are expected to be in finished products by the second semester of 2019 from SuanFarma Inc. and NanoCurcumin by the end of 2019, by Plameca S.A. both in Europe and the US.